Constructed of the highest grade MDF, engineered for durability to prevent warping and last a lifetime. 8-stage preparation, painting and finishing process. Highly water-resistant low V.O.C. sealed finish. Unique and striking contemporary design. Concealed soft-close door hinges. Backsplash not available. Acrylic-Resin integrated sink. Rectangular Sink. Single-hole faucet mount. Faucet(s) not included. Mirror included. Metal exterior hardware with brushed chrome finish. Two (2) functional doors. Four (4) functional drawers. Plenty of storage space. Perfect for small bathrooms and powder rooms. Includes drain assemblies and P-traps for easy assembly. 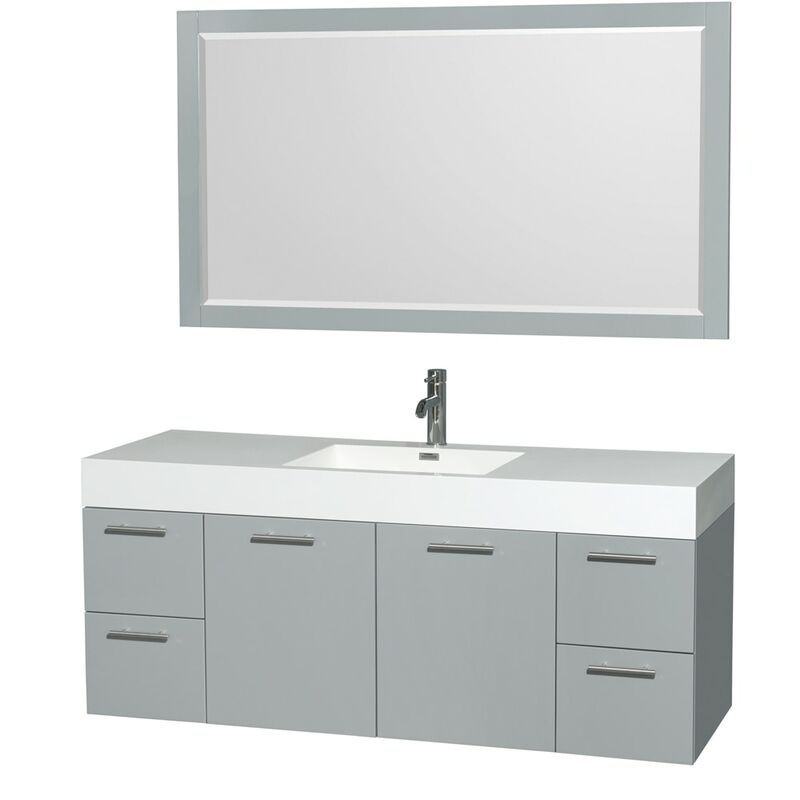 Dimensions - Vanity: 60" x 21.75" x 25"; Mirror: 58" x 0.75" x 33"